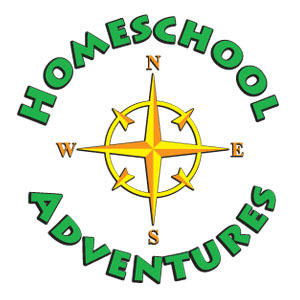 Homeschool Adventures is your source for planning and joining in homeschooling field trips, classes and events in Minnesota. ECHO operates an email communication group through Yahoo! Groups. You do not have to be a member of an ECHO support group or have attended an ECHO meeting to participate. The ECHO-MN Yahoo! Group has proven to be a wonderful resource for families. You can post your homeschooling questions and connect with new homeschooling friends. To join the ECHO-MN Yahoo! Group, click on the link below. You will receive a Welcome Letter including a few simple questions that will serve as your introduction to the Yahoo! Group. We also ask that you take a moment to read the group etiquette below. These simple guidelines help us maintain a strong and enjoyable group. The ECHO-MN Yahoo! Group is a homeschooling email group. Please try to keep the conversation on topic. 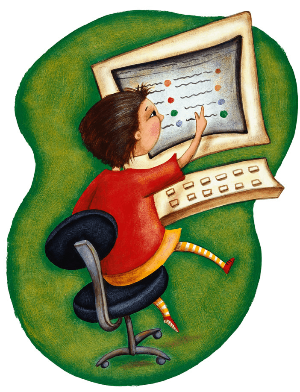 On-topic material includes homeschooling methods, philosophy, curriculum, parenting, etc. Be sure that your subject line reflects the topic of your posts. If you do find an email that is offensive or inappropriate please alert one of the Yahoo! Group moderators or email us at echo-mn@earthlink.net. This is not a Sale or Swap board, but you may post items for sale provided you mark the subject line clearly. "For Sale" items are not limited to homeschooling materials, supplies and resources. If the Sale and Swap posts become too numerous, we may set further limitations on Sale and Swap posts. Forwards are strictly banned on this Yahoo! group. DO NOT forward anything from the ECHO-MN Yahoo! Group without the author's permission. We encourage members to send links whenever possible rather than copy and/or forward entire articles. Anyone wishing to share a forwarded message can briefly describe the type of message and give a personal address where those who are interested can send a message asking to receive it privately. The ECHO-MN Yahoo! Group does not accept email attachments. For safety reasons, please limit posting of specific personal information (addresses and phone numbers may be removed). Of course, you may share that information with each other privately. We recommend that specific information about group field trips, park days, etc. be shared on the individual support group Yahoo! Groups only. Please cut off the old post (including the headers and footers) when replying to messages. Many of the members of the ECHO-MN Yahoo! Group receive the email in digest form or they read the email online. It is less confusing for all of us to have messages clear and concise. You only need to include the relevant sentences or phrases. Also, please be sure to change the subject line when necessary. Be respectful. Personal attacks and political debates will not be tolerated. Homeschoolers represent a wide variety of ethnic backgrounds, religious convictions, lifestyle choices and educational styles. Should we find a post to be offensive and in direct contrast to our mission of inclusiveness we will contact the author privately and remove the post from our archives. Continued disregard for the ECHO Yahoo! Group Etiquette will result in a member being removed from the list. Thank you for helping us to build a strong homeschooling community.